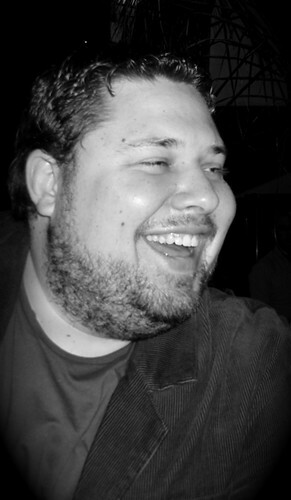 Writer/Director Danny Daneau Danny Daneau is a celebrated film editor and an up-and-coming film director. Raised in southwest Florida, Daneau graduated with a Master of Fine Arts from the University of Central Florida School of Film where his numerous award winning projects played in over forty film festivals around the world. 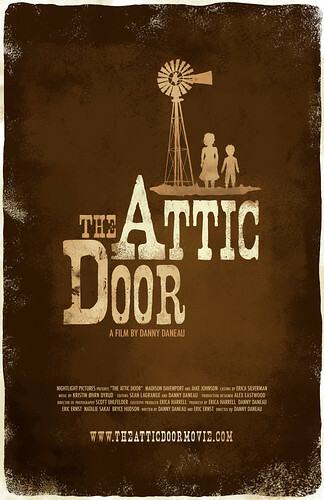 THE ATTIC DOOR was his thesis project and also his first directorial feature length film. After also cutting THE ATTIC DOOR, Daneau began a career as a film editor. Currently he is wrapping up on the coming-of-age drama FREE RIDE, produced by and starring Anna Paquin. Daneau’s work as an editor has been featured in CinemaEditor Magazine, and warmly reviewed in The New York Times, Los Angeles Times, and Huffington Post. 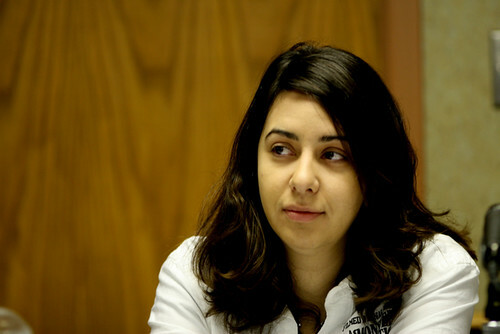 As a child Daneau was gripped with extreme versions of common childhood fears. This all seemed to start at the age of eight when he was diagnosed with a life threatening connective tissue disease. As a young child, this meant there would be a good chance the disease would increase as his body grew. Doctors told his parents they were unsure how long he had to live if the disease worsened. Trying to understand mortality at such a young age lead to the creation of supernatural terrors that would haunt his every bedtime. Now, years later having outgrown the disease, THE ATTIC DOOR is his attempt to understand, capture, and accept the truth behind those childhood fears. Currently, Daneau resides in Los Angeles with his filmmaker wife, Laura C. Lopez, and is looking forward to future directorial projects. A member of the opening team of Universal Studios’ Islands of Adventure theme park, Eric was accepted into the University of Central Florida’s School of Film and Digital Media program, earning his Bachelor of Fine Arts. It was here Eric met friends and colleagues Danny Daneau and Erica Harrell. After graduation, Eric packed his wagon and headed west to Los Angeles to seek gainful employment. Not deterred by being bitten by a dog during his first job interview, he interned for the Kennedy/Marshall Company as a script reader. At the same time, he began writing The Attic Door with Danny Daneau. Receiving a production grant from the State of Utah, the film was shot over 25 days with only two child actors. 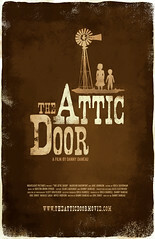 The Attic Door sold out crowds along its entire festival run and won multiple awards at the BendFilm festival, including Best Feature. Cinematographer Scott Uhlfelder An LA transplant via South Florida, Scott Uhlfelder found his passion for cinematography while shooting skateboarding videos in the streets of Miami. He further refined his talents at the University of Central Florida where he was one of the most sought after directors of photography among his peers. It was in school and on set where. Scott was able to develop his natural style of shooting. In the last few years his work has appeared on screen at the Los Angeles Film Festival, AFI Fest, SXSW, Slamdance, and Sundance. In October of 2009, Scott was awarded “Best Cinematography” for his work on the independent feature, “The Attic Door” at the 2009 Bend Film Festival. Most recently, Scott will be attending the 2010 Sundance Film Festival where a feature film he shot is playing in competition (film title, Douchebag Dir: Drake Doremus).